Purdue sealed it with 28 points in the fourth quarter, the final touchdown coming on a Markus Bailey pick-six. 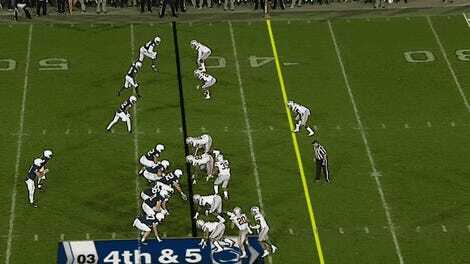 Even though the Buckeyes had figured out how to score by then, there was no chance of catching up, anyway. Boilermakers QB David Blough finished the game with 378 yards and three touchdowns; running back D.J. Knox had 128 yards and three rushing TDs. The fans rushed the field, and why the hell not? “The glaring shortcomings we had were exposed,” Meyer said after the defeat. Yeah, man. (Will he stick around for the end of the season to see those shortcomings fixed?) 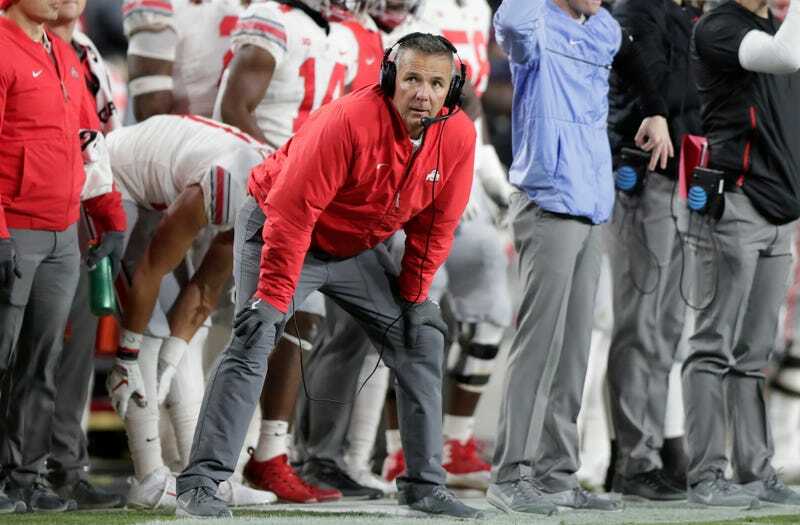 The Buckeyes still have a chance of getting into the College Football Playoff as a one-loss squad, but they’d probably need to be helped by some other top-ranked teams screwing up. Or, if UCF once again runs the table, the committee can take this opportunity to right a wrong and let them play for the real thing. The Knights deserve this, dammit!